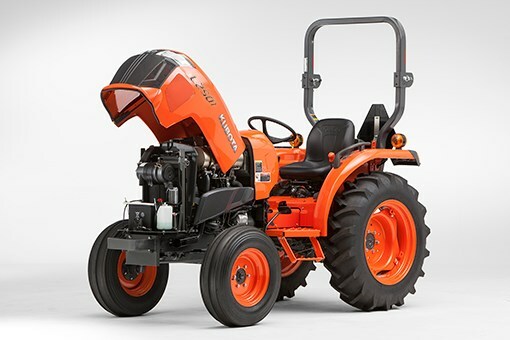 The L2501 tractor is the latest contribution of Kubota to the market of compact tractors, being part of the well known L-series. While the look is pretty consistent with the other machines in this series, the L2501 comes with some technical updates such as cleaner emissions and a chassis a bit larger in size. The price for such a piece of machinery is absolutely reasonable. Being powered by a 24.8 HP diesel engine and without having any specific diesel filters, it is still compliant with all the requirements of the Tier 4 Final standard. Its three cylinders run in four cycles and the cooling is done using water. The fuel tank has a capacity of about 38 liters, which is a bit more than previous models, allowing thus to be operated longer before needing to refill. The L2501 can be featured with both gear-drive and hydrostatic transmissions, with 4 wheel drive present with both. However, the option for a rear wheel drive is only linked to the gear-drive one. With the first type of transmission, which is the Syncro Shuttle, the L2501 provides four main speeds of shifting, while also making available a high/low separate shift. These total eight forward shifts and four reverse shifts. Going through the back and forth shift speeds is easy as they are all inline. The L2501 tractor can go forward up to about 17 kilometers per hour, while in reverse it can go to about 6 kilometers per hour. Things are a bit different when the hydrostatic transmission is present, as the controlling treadle has a very wide range of moves which makes it extremely flexible and allowing speeds and directions be changed in no time. The top forward speed is 19 kilometers per hour, while the reverse one goes up to about 16. Every transmission type is associated with a particular form of PTO (power take off). 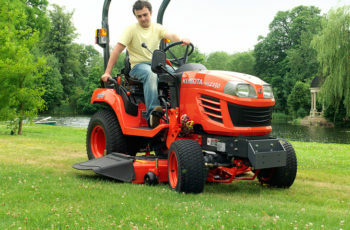 The gear drive comes with transmission driven power take off with a clutch that can generate 20.5 HP. With the hydrostatic transmission, the live-continuous running power take off with which it’s featured is able to generate only 19 HP. All tractors in this line have an additional stationary power take off setting which ensures that the equipment can be run without having someone in the driver’s seat. The hood of the L2501 runs away smoothly from the driver’s area and provides a wide sight to the driver. It is also easy for anyone to access the area under the hood, as its opening is helped additionally by a gas-strut system. The size of this tractor fits it in the compact class. The 2 wheel drive models are 2.8 meters long, while the 4 wheels models are only 2.7 meters long. With regards to weight, the 2 wheels drive models are about 1,100 kilos, while the 4 wheels drive ones go up to 1,180 kilos (and they have an extra 10 kilos if the transmission is HST). Kubota did not cut any costs when getting at the point of making the L2501 a safe machine for the driver while also being comfortable. 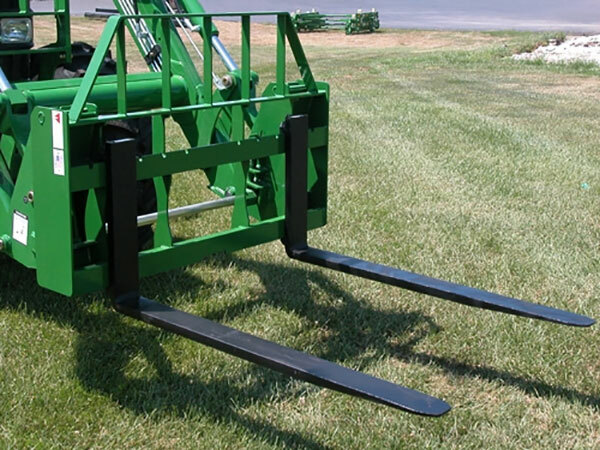 The foldable protective structure keeps the driver safe if the tractor happens to roll over. The retractable seat belt does the trick when going on bumpy terrain. For this area of activity, comfort is almost as important as safety is. Having enough space in the cabin it’s less likely for cramps and fatigue to occur very early during a hard work’s day. The driver can also get in and out of the tractor quite easily and has a toolbox right behind the seat. The parameters of the machine can be supervised with ease due to generously sized gauges. The cup holder is a bonus. The L2501 is easy to use and this is what makes it comfortable for the operator on an overall. The minimum turn radius is of about 2.4 meters for the 2 wheels drive models and 2.5 for the 4 wheels drive ones. The good figures for the turn radius are due to the integral power steer, which also guarantees a very good control on every type of surface. The braking system operate wet disc brakes, which are efficient enough to stop the tractor when needed. 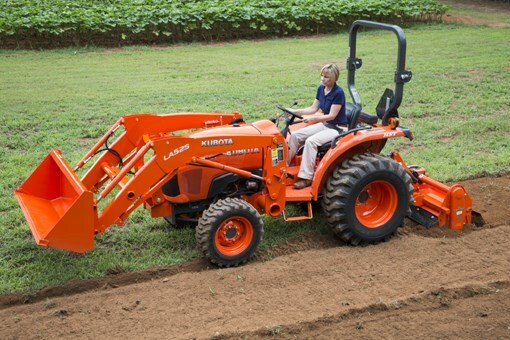 The Kubota L2501 has a number of available attachments such as a front loader (the LA525) and a backhoe (the BH77). Other attachments that are available are the result of a good partnership between Land Pride and Kubota.